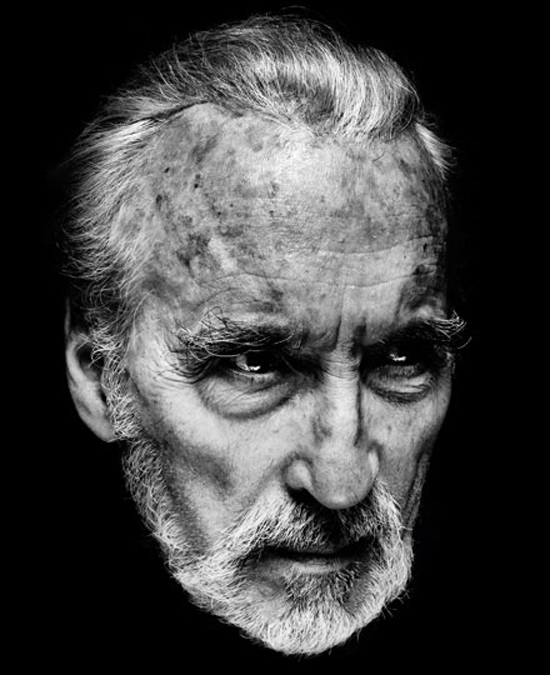 Sir Christopher Lee, here masterfully photographed by Nadav Kander, celebrates a glorious 90th birthday today, May 27. We send our best wishes, our love, admiration and gratitude to Mr. Lee who continues to entertain and amaze us. Recently in Martin Scorsese’s Hugo and currently in Tim Burton’s Dark Shadows, Mr. Lee will voice Dracula in Burton’s Frankenweenie later this year, and returns as Saruman in Peter Jackson’s Hobbit films. Worth noting: Mr. Lee shares a birthday with Vincent Price, who would have been 101 today, and Peter Cushing would have turned 99 yesterday, May 26. 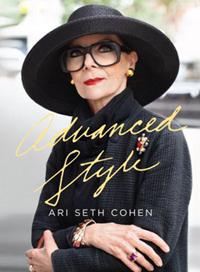 Also worth noting, Mr. Lee’s wife, Brigit Kroncke, was chosen and fabulously featured on the cover of Advanced Style by Ari Seth Cohen, a blog-based book described as an “ode to the confidence, beauty, and fashion that can only be achieved through the experience of a life lived glamorously.” The book was published earlier this week. The Official Christopher Lee website. Actually, it is Mr. Lee's 90th birthday. Of course it is! Thanks for picking up the typo. Correction made. Last man standing!! I hope we can celebrate another birthday for Sir Christopher for another 20 years or more.